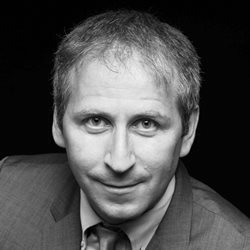 Irvin Studin is the President of the Institute for 21st Century Questions, and Editor-in-Chief & Publisher of Global Brief magazine. He has been called one of the leading international policy thinkers of his generation. Studin is with the Chaire Raoul-Dandurand at the Université du Québec à Montreal (UQAM), and has been a professor in leading universities in North America, Asia and Europe. Studin is the co-founder of Ukraine’s Higher School of Public Administration (Kiev). His latest book is Russia – Strategy, Policy and Administration (Palgrave-MacMillan), and his upcoming book is Ten Theses on Canada in the 21st Century. He worked for a number of years in the Privy Council Office (Prime Minister’s department) in Ottawa, as well as in the Australian Department of the Prime Minister and Cabinet in Canberra. The first ever recruit of the Canadian government’s Recruitment of Policy Leaders programme, he was a member of the team that wrote Canada’s 2004 national security policy, and he principal-authored Australia’s 2006 national counter-terrorism policy. He holds degrees from the Schulich School of Business (York University), the London School of Economics and the University of Oxford, where he studied on a Rhodes Scholarship. His PhD is from Osgoode Hall Law School, where he was a Trudeau Scholar and won the Governor-General’s Gold Medal. Studin lectures and advises around the world in a number of languages, and has written for publications ranging from the Financial Times to Le Monde, Vedomosti, the Globe & Mail, National Post, Le Devoir, La Presse, the Indian Express, The Australian, the South China Morning Post, and the Straits Times. His other books include The Strategic Constitution – Understanding Canadian Power in the World (UBC Press, 2014), and What is a Canadian? Forty-Three Thought-Provoking Responses (McClelland & Stewart, 2006). Studin is a member of the external advisory board of the Canadian Foreign Service Institute, Canada’s diplomatic academy, which prepares Canada’s diplomats for the challenges of the 21st century. In a past life, Studin was a two-time All-Canadian soccer player, captained York University’s varsity soccer team, played professionally with the Toronto Lynx, and earned two ‘Blues’ with the varsity soccer team at Oxford University.